Is our new cab-high version of the Master Series Truck Body. 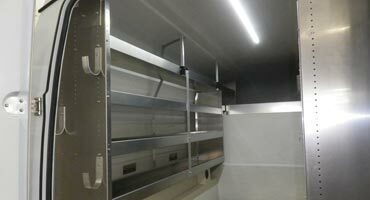 We designed this model for improved gas mileage and so you can access underground parking lots or low garage doors. is the flagship of our product line and like all of our products it is transferable. By the use of a specific roof profile it has been engineered to be the lightest and strongest unit available on the market today. A self sufficient work environment allowing any job to get done at any given time and any given place. The Master 75 offers maximum space for any work application, with a wide range of options, the Master 75 is sure to answer your needs. The Master Series are slip-in transferable service body is a self-contained, mono-body capsule that is a universal fit for all full-size trucks. With our patented lock-down system, you can install or remove the body from your truck within few minutes if you need to switch vehicles, take your truck into be serviced or replace your truck.The Master has its own floor so all your tools or equipment will stay safe and secure. 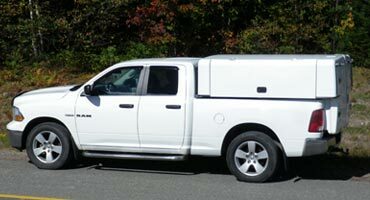 This is the perfect replacement for your truck cap, cargo van or camper shell. Master 50 is our new cab-high version of the Master Series Truck Body. We designed this model for improved gas mileage and so you can access underground parking lots or low garage doors. Master 60 is the flagship of our product line and like all of our products it is transferable. By use of a specific roof profile it has been engineered to be the lightest and strongest unit available on the market today. Master Series outlast most vehicles, reducing wasteful retrofitting of multiple vehicles. Reduce your carbon footprint by removing the unit when you don’t need it to save fuel. Don’t lose income because you need to repair or maintain your vehicle. Master Series universal fit allows you to move it to another vehicle and continue to work (even if you need to rent a vehicle). A slip-on body provides a greater resistance against intrusion and theft by storing the unit in a garage or warehouse when not in use. 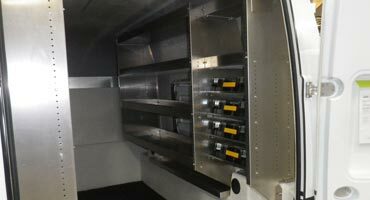 We offers a fantastic alternative to conventional Fiber-optics splicing vans or trailers. 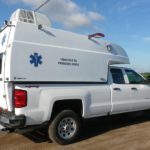 We provide climate controlled units which can be used on any full sized truck but also removed within minutes to be used as a stand-alone unit. 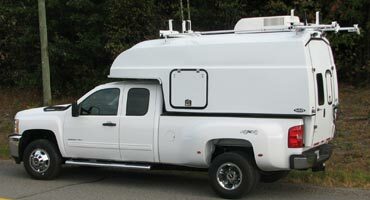 Install on 4×4 pickup. Between your tools, supplies and your crew, you carry a lot of cargo. 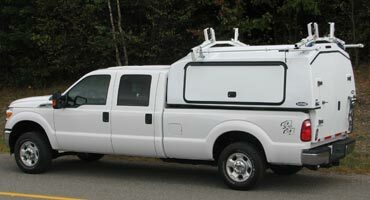 You need a vehicle that provides you with secure storage, comfort and rugged durability. 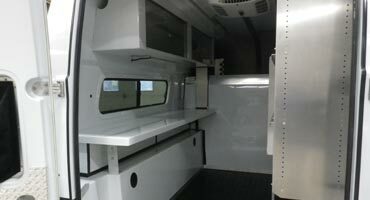 Don’t throw money down the drain with a van, box truck or any other Electrician’s vehicle. Refrigeration work requires special equipment. 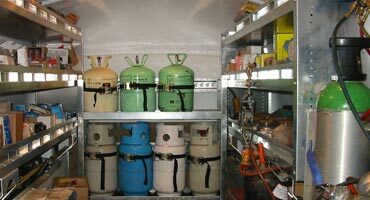 Master Truck Body provides the storage for equipment, tools, large items and refrigerant tanks that is essential to your business.